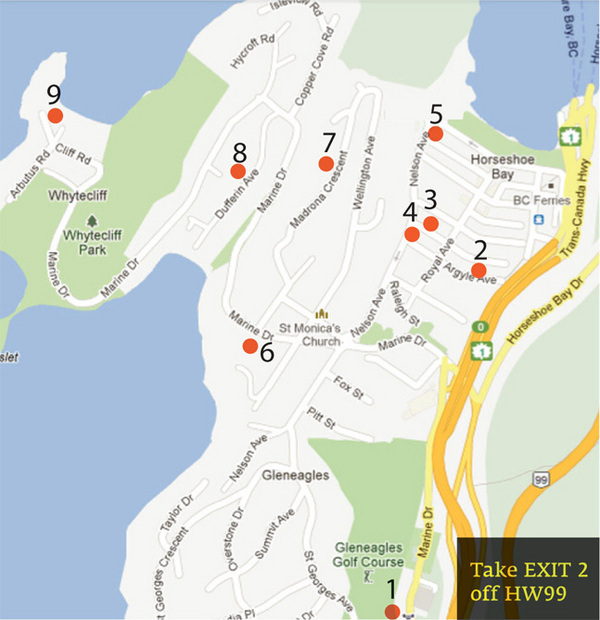 On Sunday July 8, from 11am to 4pm, thirteen local artists - 5 ceramic artists, 6 painters and 2 textile artists- will display their work at 9 locations in the community of Horseshoe Bay. Enjoy the route on foot (45min) or catch our FREE shuttle bus from the Gleneagles Community Centre parking lot every half hour starting at 11am. The shuttle will continue a circle route to all artists locations throughout the day until 4pm. Artwork can be purchased by cash or cheque. Look for our posters and signs along the route!